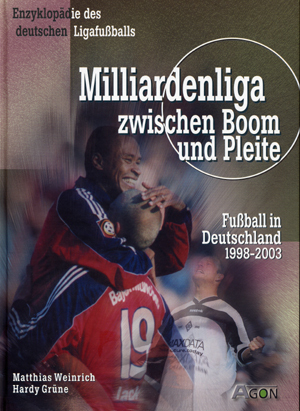 A continuation of the "35 years Bundesliga series", this update covers the seasons 1998-2003. It uses the same format as the others, but there is additional information. Each year now includes the final tables of the lower divisions, i.e. 2.Liga, regionalliga and Oberliga. German club performance in European competition and the results of the German national squad are also included. As a result, AGON has released an improved version, if that was even possible.